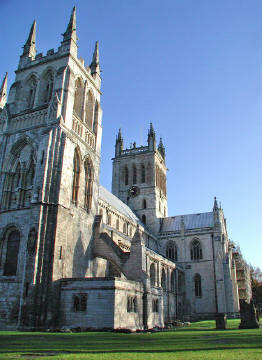 Surviving abbey churches of the medieval period, and, although not a cathedral, is one of the biggest. 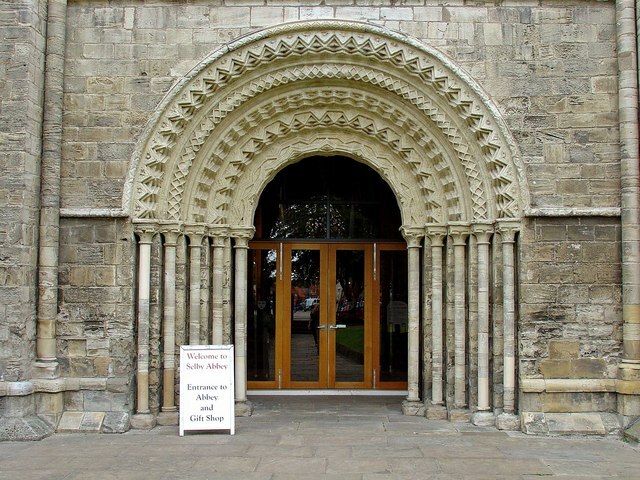 It was founded by Benedict in 1069. This is not the Benedict that set up the Benedictine order. It was once a huge, rich Benedictine monastery, complete with chapel, cloisters, stables, brew-house, kitchen, workshops, dormitory, cellars, barns and an infirmary, all surrounded by high walls with a huge gateway. In fact possessed of all the amenities necessary to a great abbey complex. Building began shortly after the Norman conquest, but its foundation is said to originate with Germain, a French nobleman and soldier, who was born about AD 378. As a young man Germain received training in Roman law and later was appointed governor of Armorica (an ancient region of France). He became a Christian and, in AD 418, was nominated Bishop of Auxerre. In the role of bishop, Germain visited England twice to help unite Christianity. He died shortly after his second visit in 448 and was given a magnificent funeral at Auxerre where his shrine became a pilgrimage centre. More than six hundred years later a monk called Benedict (or Benoit) experienced a vision in Auxerre Abbey and received instructions from Saint Germain to go to Selby and build an abbey. William was crowned King of England on December 25th 1066, but the northern Earls were not prepared to accept him as King. They rebelled and three times the Conqueror came north to suppress uprisings. On the third, and final occasion, he ordered his troops to devastate the whole of Northumbria. Crops were burned, towns and villages destroyed and many of the people killed. In 1068, during this unrest, Queen Matilda is believed to have come to Selby where she gave birth to Henry, the Conqueror's youngest son. About a year later the monk Benedict, after an adventurous journey from Auxerre with the dried finger of St. Germain, arrived at Selby to found the Abbey. He recognised the site from a scene in his vision, a vision which was confirmed when three swans alighted on the river. 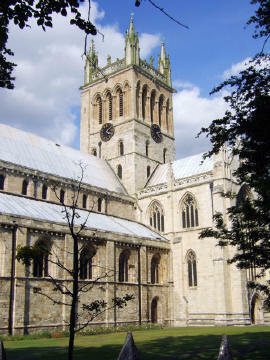 The swans became a symbol of Selby and are used on the Abbey's Coat of Arms. Under a great oak called Strihac, growing on land in Selby owned by the King, Benedict set up a wooden cross. This was seen by Hugh, Sheriff of Yorkshire, who informed William I while he was celebrating Christmas in York. The climate was right for Benedict to take full advantage of the situation. William the Conqueror believed himself to be a religious, as well as a political reformer. 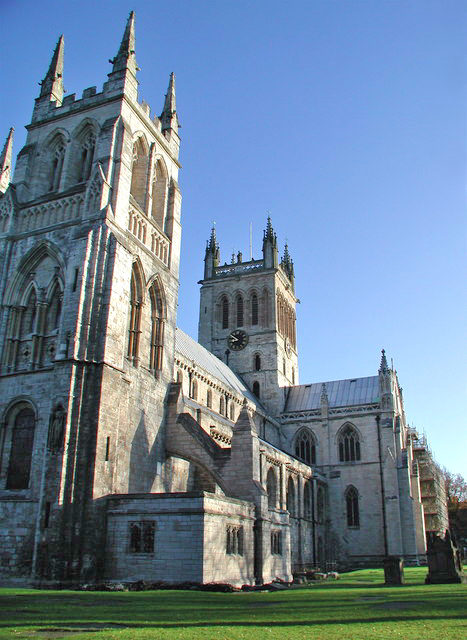 He had already founded Battle Abbey in the south in thanksgiving for his victory at Hastings, and the creation of an Abbey at Selby, in thanksgiving for his victory over Northumbria, would be a natural conclusion. The following year William I gave Benedict a charter granting him the site on which to build an abbey together with land at Flaxley, Brayton and Rawcliffe. These villages provided timber for constructing a wooden abbey, land for growing food and fish came from a fishery, at Whitgift. Abbot Hugh, succeeded Benedict, and built a stone church similar in shape to what it is today. The building is on clay with a very high water table, and this presented construction problems. It took around 130 years to build due to these problems. A number of expansion phases then happened. In the reign of Henry VIII the monastery was dissolved with others. On 8th December 1539, five of Henry VIII's commissioners were staying in Selby and wrote: 'we have dissolved the houses of Hampole, Sancte Oswaldes, Pountefract, Fountaunce, Sancte Maries in Yowrke, Nonappleton and Selby'. Robert Selby, the last Abbot, received a pension of £100 per annum. Robert Midgley, the Prior, £8, twenty-three monks between £5 and £6 each and two novices 53/4d (approx £2.66). In Selby the Abbot's house and many of the monastery buildings were pulled down or fell into ruin. The gateway (demolished 1806) and some barns remained for a number of years, but the church survived to become the parish church. It was unofficial at first, but in 1618, it became legal. Over the years with no money for repairs the church fell into decay. In the Civil War, Sir Thomas Fairfax stayed in Selby during December 1642 when strong defences were made around the town. There was a skirmish the following year when royalist troops arrived from Cawood and confronted Fairfax in the Market Place. During the winter of 1643 the Royalist army used the Church to barrack troops and stable horses. The following spring Fairfax attacked a strong Royalist force which had taken up positions in Selby. 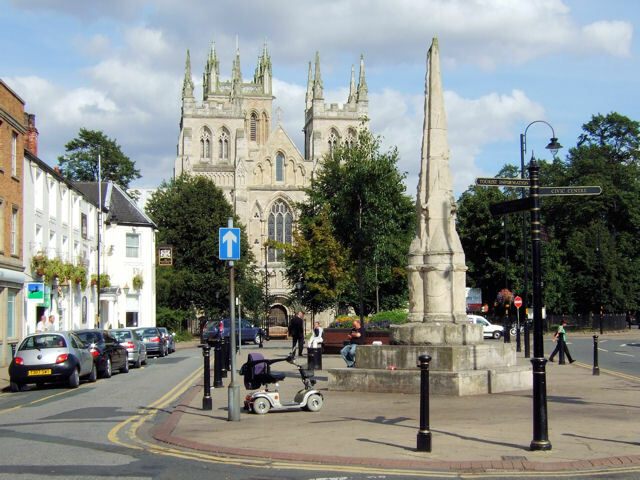 There was much fighting in the town before the Royalists were driven out and Selby was able to regain its peaceful existence. On March 30th, 1690, a combination of neglect and faulty foundations, contributed to the collapse of the upper part of the central tower. The south transept and part of the choir was demolished as masonry fell to the ground. A replacement tower was put up in 1702. 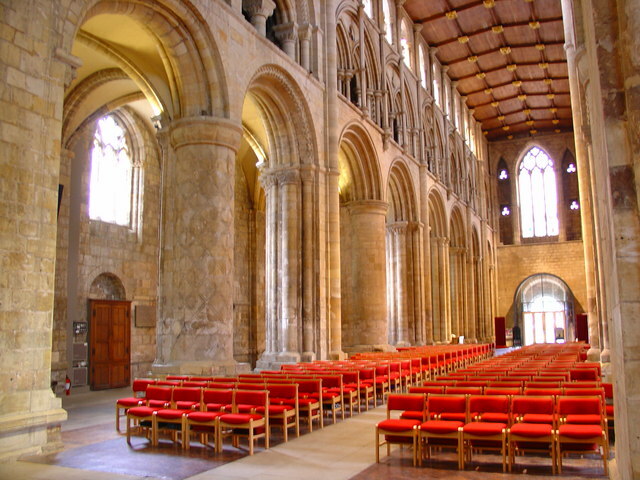 For many years the nave was used as a store for market stalls while services were held in the choir. In 1871, Sir George Gilbert Scott was appointed to direct the restoration on the nave. On October 19th, 1906, flames were seen pouring out of an Abbey window. Soon the old timbers of the roof were burning fiercely as flames and smoke filled the sky. The central tower looked like a huge chimney as smoke poured out, bells came crashing down and molten lead poured like streams of silver. In 1935 it was fairly fully restored. Selby Abbey Church has survived fire and flood, sinking foundations and falling towers, destruction of religious houses by Henry VIII and vandalism by the armies of Charles I and Oliver Cromwell. It has stood through centuries of political and religious upheaval. Now it is a building full of magnificence and wonder. It fascinates historians, delights visitors, inspires artists, educates architects, and fills the townspeople with pride. 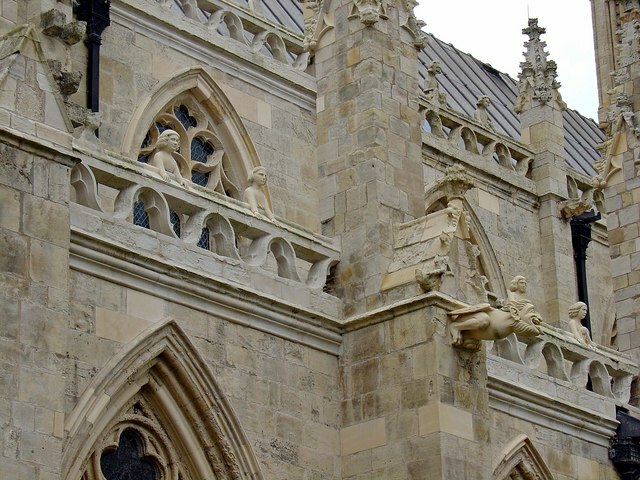 A notable feature of the abbey is the 14th century Washington Window, featuring the heraldic arms of the ancestors of George Washington, the first President of the United States. The design featuring three red stars above two red bands on a white shield is said to have been the model for the US flag, and is the model for the flag of the District of Columbia.